1. Which bolt pattern do I have? 2. Which gasket material do I require? 3. What quantity do I need? Want an even better stainless steel bulkhead tank fitting? Click here for more sizes and better prices! Rhino Gasket EPDM 6 BoltCLOSEOUT PRICE-WHILE SUPPLIES LAST! Yes, These Are Genuine Rhino Gaskets At This Price! Most Are In Stock, Which Means We Can Ship Next Day Air If Necessary! Rhino Gasket EPDM 8 BoltCLOSEOUT PRICE-WHILE SUPPLIES LAST! Rhino Gasket Viton 6 BoltCLOSEOUT PRICE-WHILE SUPPLIES LAST! Rhino Gasket Viton 8 BoltCLOSEOUT PRICE-WHILE SUPPLIES LAST! 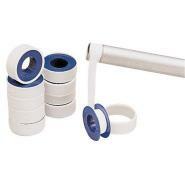 Use our Teflon Tape for sealing threaded connections on our Valves and Rhino Fittings.